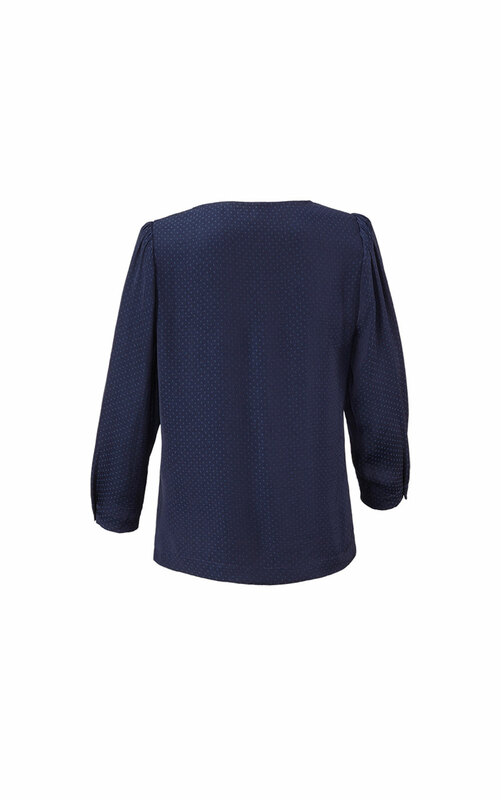 This understated and elegant navy blouse floats over the body with a modern slightly cropped length. 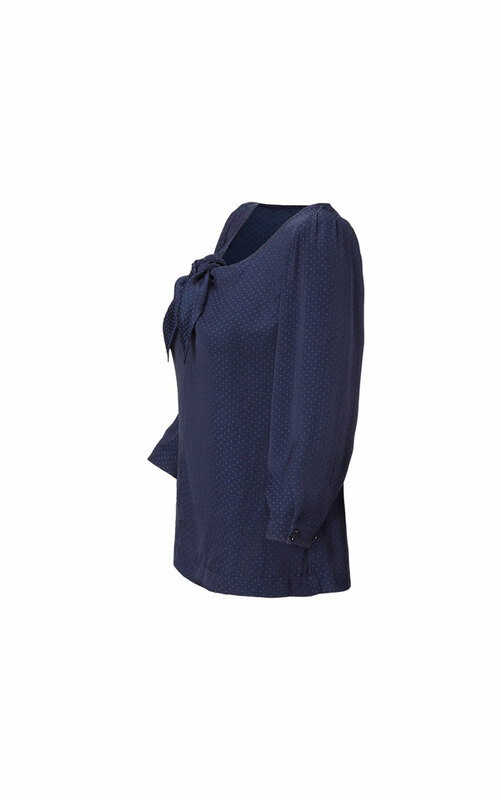 The Knot Blouse features three-quarter sleeves and a scoop neckline with a romantic knot at the center. 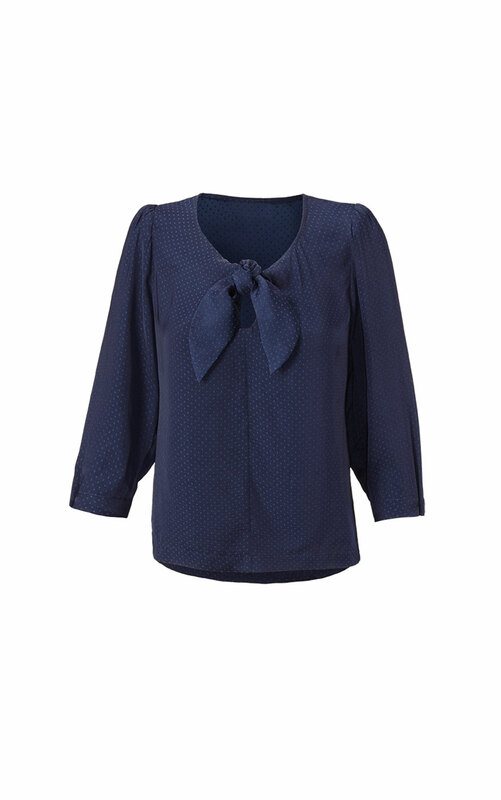 Loving the Knot Blouse? Share how you’re wearing it on Instagram, and browse through all the inspired ensembles for fresh ideas.